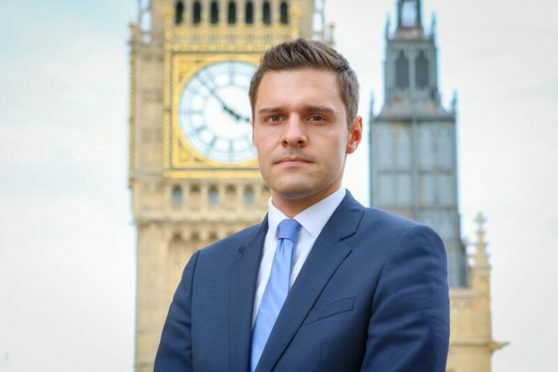 Aberdeen South MP Ross Thomson has been threatened with legal action after he described the SNP’s Westminster leader Ian Blackford as a “simple arms dealer” on social media. Lawyers acting for Mr Blackford wrote to the Tory MP on Monday to say the comment, since deleted, was “defamatory”. Mr Blackford’s legal team have demanded an apology and ordered a £1,000 donation to a charity as recompense, the Press and Journal understands. Mr Thomson’s comment on Twitter came after a funeral plan investment fund Mr Blackford chairs, Golden Charter Trust, was found to have invested in BAE systems and Airbus. Mr Blackford’s register of interests states that he earns £3,091 a month for 32 hours work a year as the trust’s chairman. Both BAE systems and Airbus have been involved in contracts to sell arms to Saudi Arabia, which is accused of committing war crimes in Yemen. It is understood that Mr Thomson and Mr Blackford spoke to each other on Sunday night after the tweet was posted, prior to the legal letter. The controversy comes just two weeks after Mr Thomson was criticised for meeting with a member of far-right Spanish party Vox in Parliament. After a picture emerged of the meeting, a Scottish Conservative party spokesman said Mr Thomson did not endorse the views held by Vox and he attended the meeting on invitation from another MP.